During his first day of testimony the Crown took Perrin through early PMO discussions around Duffy's contentious Senate expenses. A UBC law professor who was the former lawyer for the Prime Minister's Office says he was taken aback when Stephen Harper insisted that owning $4,000 worth of property in a province was enough to qualify a person to represent it in the Senate. Benjamin Perrin began his testimony Thursday at Mike Duffy's fraud, breach of trust and bribery trial, where the Crown took him through early PMO discussions around Duffy's contentious Senate expenses. The entire Duffy controversy was sparked in late 2012 when reporters and legal experts began questioning both Duffy's housing allowance claims, and his eligibility to sit in the Senate for Prince Edward Island. He had lived and worked in Ottawa for decades before Harper made him a senator. Perrin says he was asked to study the question of a person's qualifications for representing a province in the Senate. He said the PMO was interested in protecting Conservative senators from such questions. 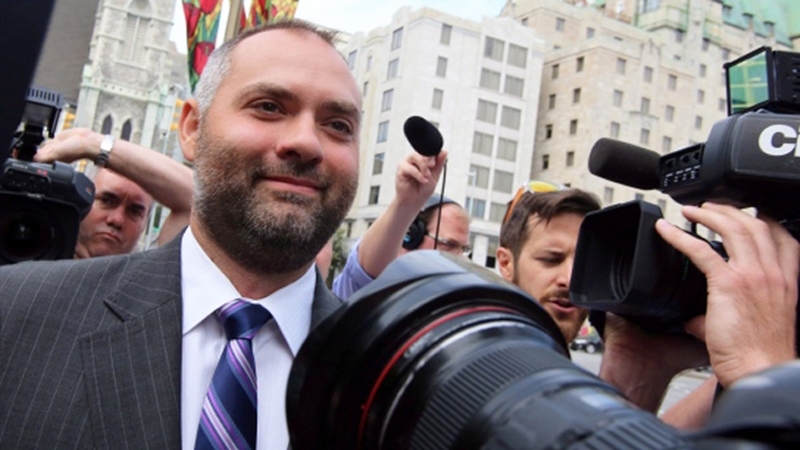 Benjamin Perrin says story about involvement in Duffy money transfer deal was "false"